Fully furnished offices, Turn key services, Great location, Virtual services etc. Welcome to Executec Suites, we hope we can exceed all expectations! Set up an appointment today to take a tour of our office building and hear about all of the services we offer. 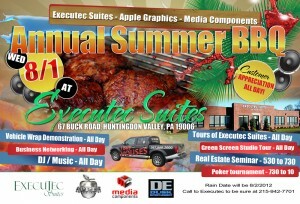 Hurry over to Executec Suites while we still have office space available! Phil Falcone “Mr. 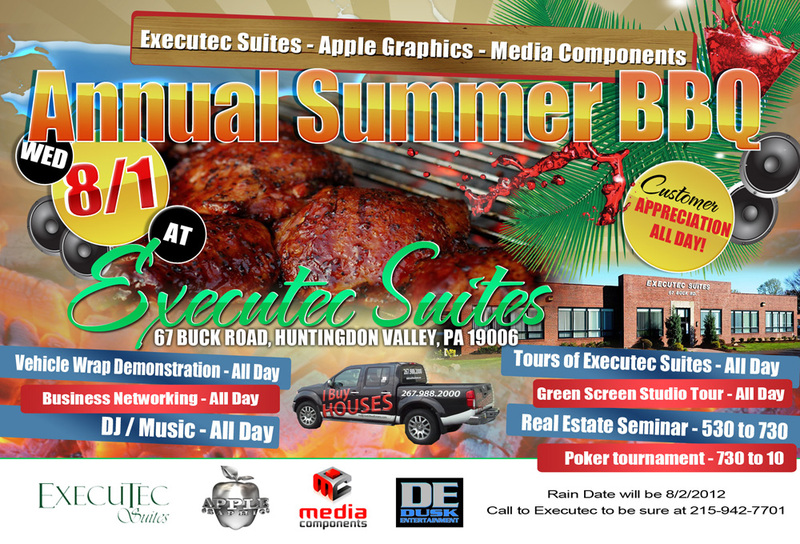 Addicted2RealEstate” would like to invite you to the Executec Suites / Apple Graphics Annual Summer Barbecue.